P320 users can create a broad range of models, prototypes and everyday objects. With the P320 we have concentrated our efforts on the daily use and not something you have to struggle with just to make it 3D print. It should be fun, easy and safe to 3D print! 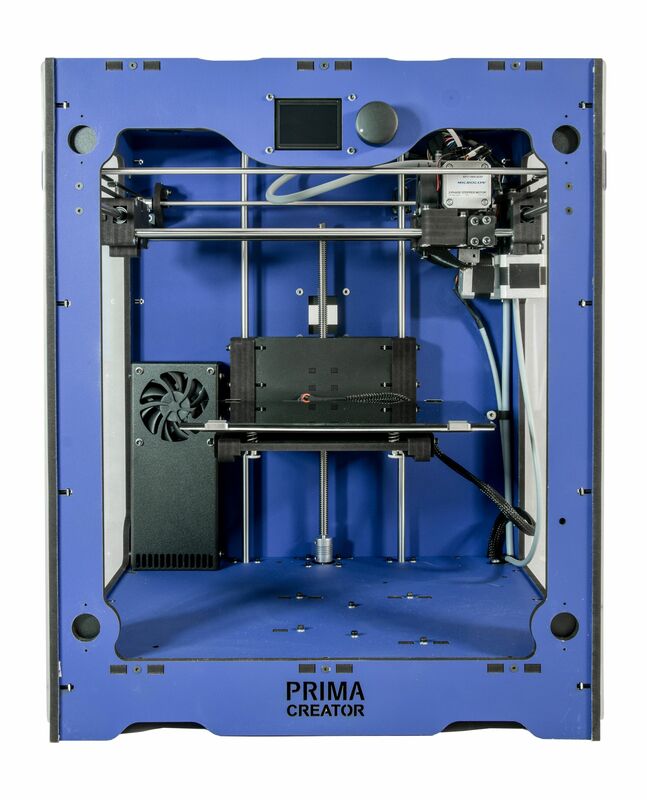 We are proud to present the Prima Creator P320 – a 3D printer created and manufactured in Europe. This solid and powerful 3D printer allows production of professional models that will satisfy even the most demanding customer. It is a device designed for a variety of users: from professional planning and design companies to research centers to home users. What makes it unique is SYNE Air filtration, but also its printout stability and high operating repeatability. 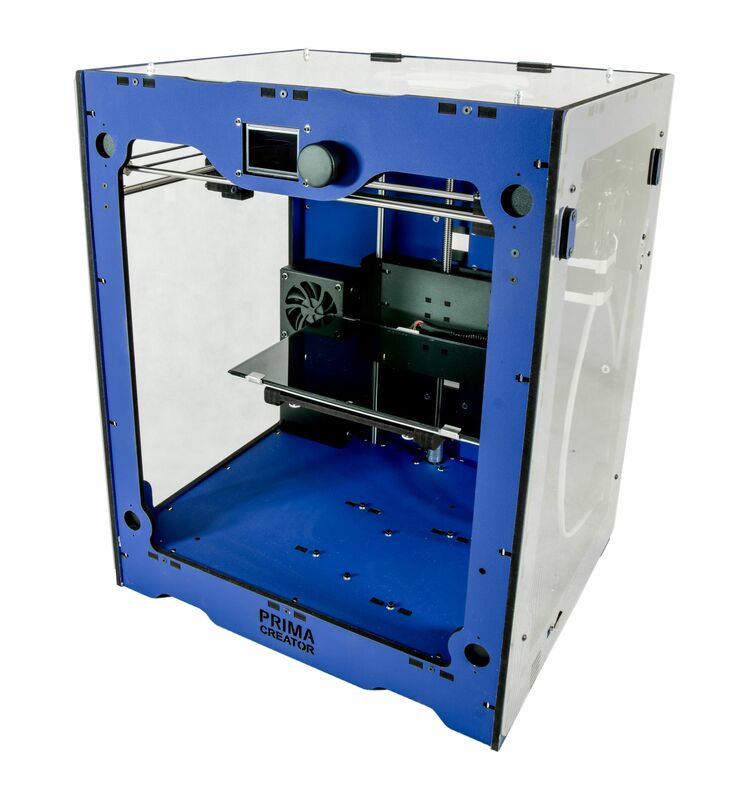 Furthermore, the Prima Creator P320 is an additive manufacturing machine made of wood-based material. P320 users can create a broad range of models, prototypes and everyday objects. With the P320 we have concentrated our efforts on the daily use and not something you have to struggle with just to make it print. It should be fun, easy and safe to 3D print! The P120 comes pre-assembled so that you can start additive manufacturing right out of the box. The 3D printers chassis is made of high quality wood-based material, which makes it remarkably light: it weighs only 11 kilos. Furthermore, this material makes sure that the P320 has a stable platform to work from. At the end of the 3D printing process, the user can easily take out the build platform with a just made 3D print. It is the most convenient way to detach the object after the 3D printing process. A magnetic build platform holder guarantees stability and convenience in interactive attaching and detaching of the build plate. SYNE is a breakthrough on the 3D printing market. It is air filtration system based on the process of photocatalysis. The active air filtration unit installed inside the 3D printer neutralizes all the invisible hazardous compounds, fumes and even smells appearing during the 3D production process. Closed and transparent construction means safety. 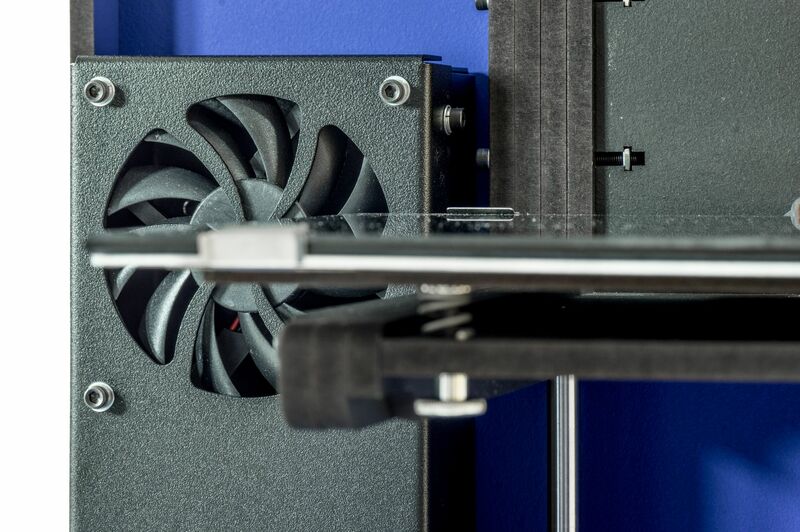 Hot or moving components are not accessible during the 3D printing process while keeping full visibility of the 3D printer making the 3D object layer by layer. Both features are particularly appreciated within the education industry. The idea behind the Assisted Calibration System is making ‘the tough part’ quick and easy while keeping the 3D printer’s construction as simple as possible. From the user perspective, setting up the Prima Creator P320 doesn’t require any technical command and is easy to operate thanks to clear step-by-step instructions. It takes less than 2 minutes to fully calibrate this 3D printer and make it ready to go! The P320 has a 3D printing volume of 150 x 240 x 250 mm. This size makes it a perfect device for creating a broad range of models, prototypes and everyday objects. The P320 is equipped with a heated build plate. 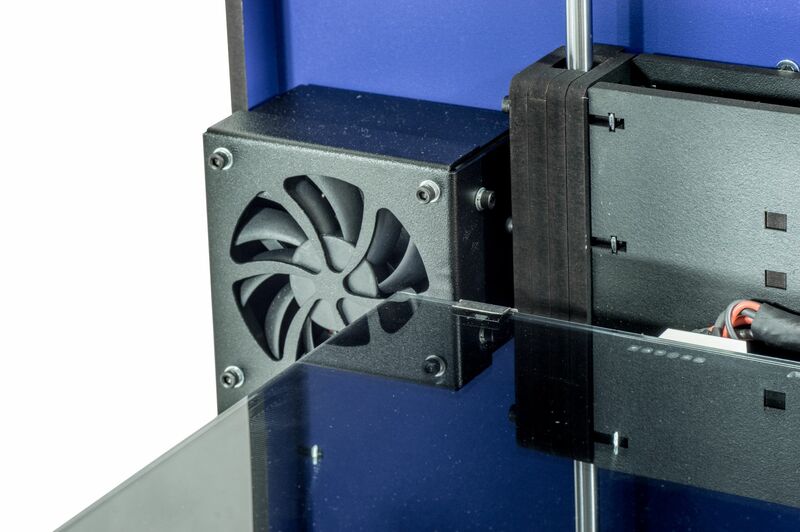 Thanks to the heated plate you can use a wider range of filaments and not risk that your part loses adhesion. P320 has an open solution that means that you can use almost any filament you like to 3D print with, PLA, ABS (small 3D prints), ABS+, PETG, HIPS and semi flexible filaments. Prima Creator P320 uses the common size of 1.75 mm filament that you can find almost everywhere. We recommend you use PrimaSELECT and PrimaVALUE or EasyPrint filament. They are tested and work perfect with this 3D printer. Prima Creator P320 is easy to use thanks to the well-known Cura slicer that allows you to fine tune all your settings such as layer high, speed, temperature. Instructions are included so you quickly can get the hang of it and produce stunning objects. It allows you to 3D print utility forms designed with software including CAD, Blender, Google Sketchup, 3D Studio, Tinkercad, Fusion 360 and many others. 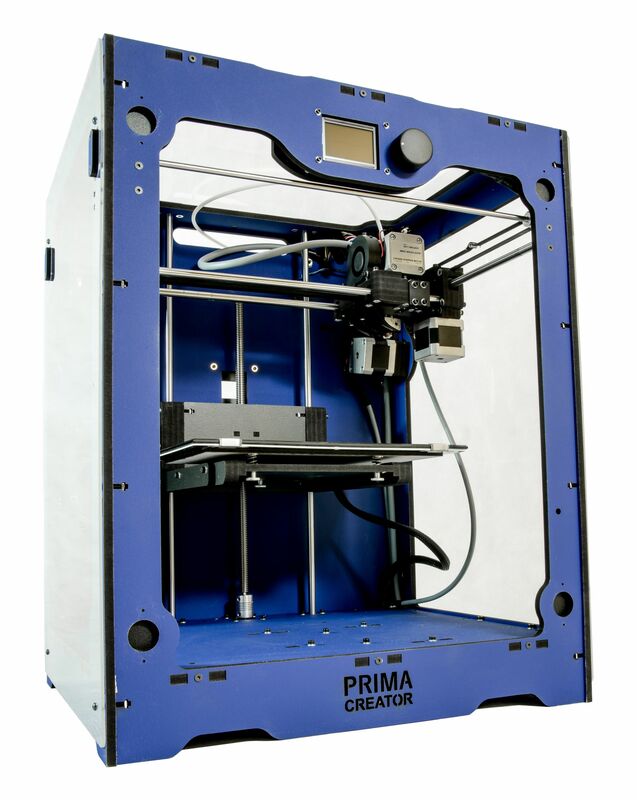 Buy now your good-value 3D printer Prima Creator P320. It is solid and powerful.